Get really tough on algae with a proven two step program of Microbe-lift PL and GreenClean, an EPA registered granular algaecide. 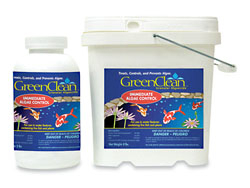 GreenClean is great for killing string algae in only days. Use it first and then apply the Microbe-lift PL which will help to degrade and break down the organic debris as well as seed your filter with "beneficial" bacteria. 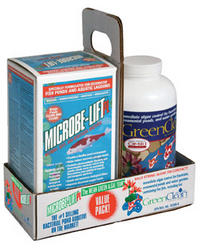 Available as a kit with one quart of PL and 2# of GreenClean or one Gallon of PL and 8# of GreenClean. 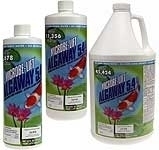 Either way, it is a great one-two punch for your pond to get rid of the algae.